As my boyfriend is in Japan and is sending me lots of pictures of delicious food, I had to cook myself something japanese. 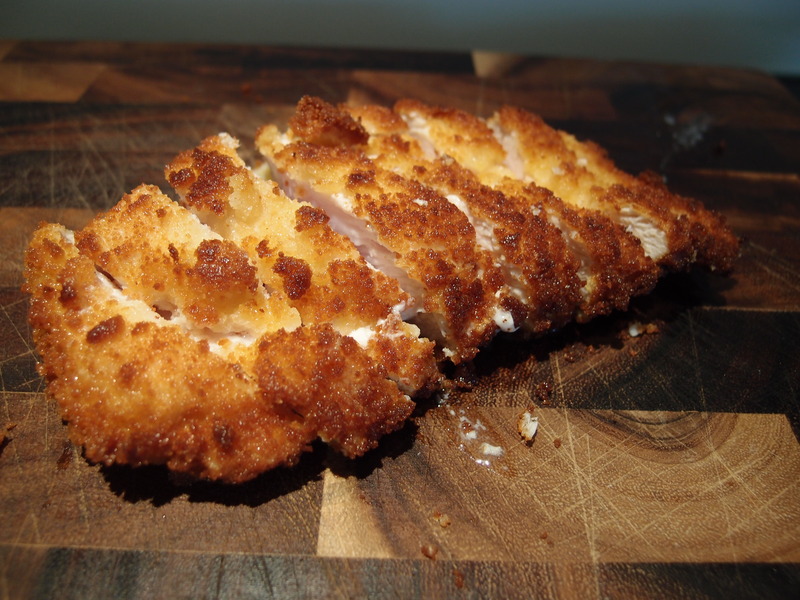 Originally in Japan, Tonkatsu is done with Pork, but as I do not eat it I will prepare the chicken version. (The same recipe applies for pork). In many Family Restaurants in Japan it is now available in both variation. Family restaurants are often chains that offer different kind of traditional food with a fantastic price quality ratio. I still have fond memories of the Ootoya in Higashi Shinjuku. breadcrumbs sprayed with water mist (they will quill a little and have a softer texture). 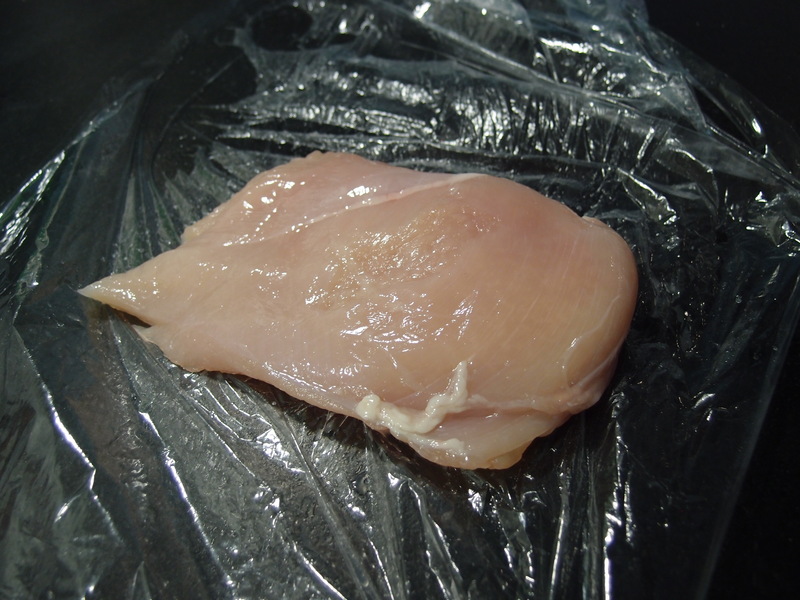 First of all use a meat pounder on the chicken breast to make sure that it has an even height. Make sure it is not too think or otherwise it will not cook properly. 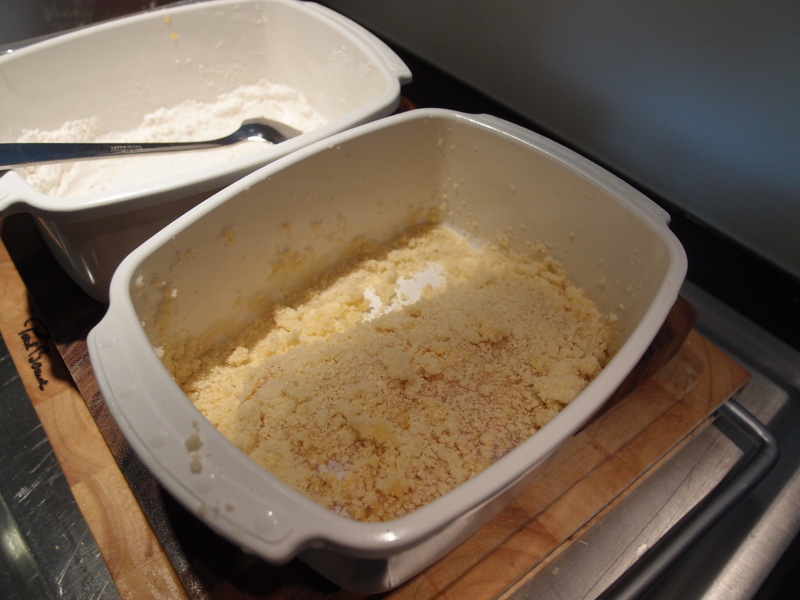 Then put the chicken into the flour until nicely coated, then in the egg and finally in the breadcrumbs. 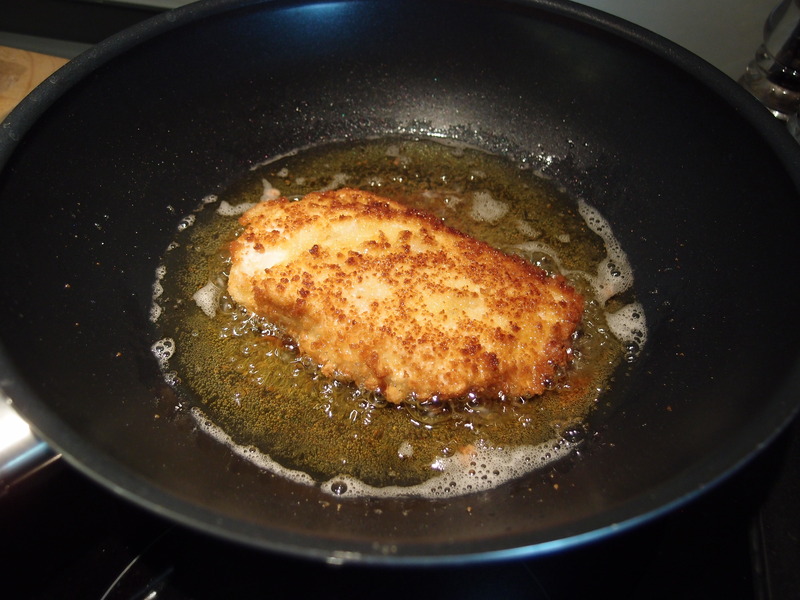 Take a Wok and put some frying oil and when really hot add the breaded chicken. Let cook for 7-8 minutes and carefully turn it from time to time. 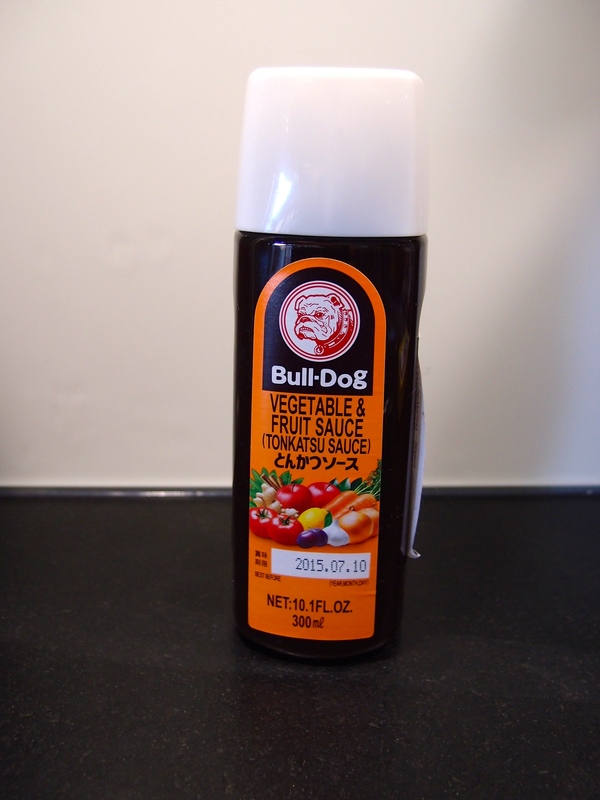 Cut in slices and put the bulldog sauce on eat and serve it. 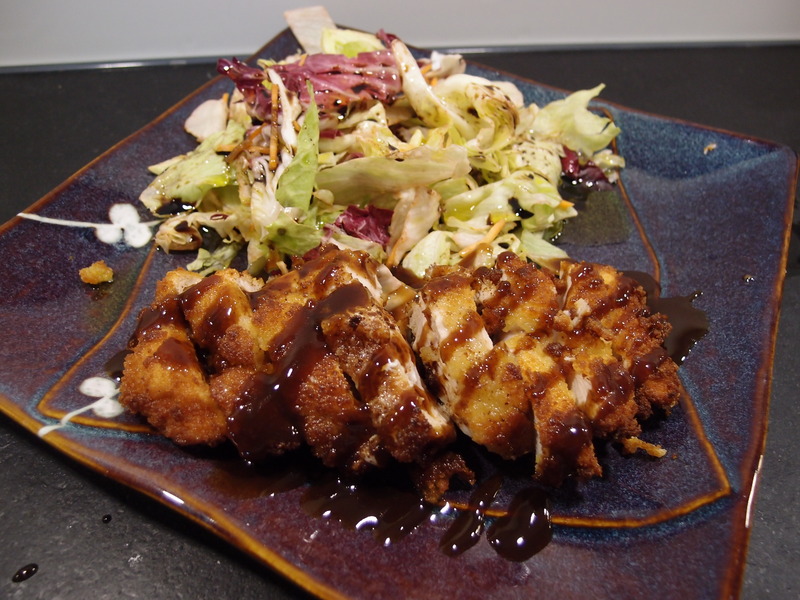 Originally it is served with Cabbage salad, but today I just used some normal salad. Itadakimasu!